DEE DEE Label has its plant and Office at Navi Mumbai and Bhiwandi just at the outskirts of Mumbai and Very close by to Nahva Seva Port of Mumbai. Both the locations are in the centre of transport hub very well connected by road, rail and soon the new Mumbai airport. These plant are strategically located so as to ensure smooth, flow of inward and outward bound material and convenient commuting for our working staff. Proximity to both airport and sea port works to our advantage for exports and imports.We have an area of 10,000 square feet each at Navi Mumbai and Bhiwandi hence there is ample of place to store raw material and work comfortably. * 4 colors printing Machine with repeat pass Scanner which facilitate even up to eight colors printing with lamination, Die Cutting, Foil Stamping, and Computer Spocketing online in roll to roll / sheet form. 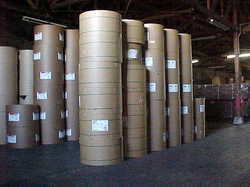 We are well equipped to deliver huge quantities in roll and sheet form at very short lead time. We are equipped with spacious warehousing facilities that helps us in storing our wide range of products. 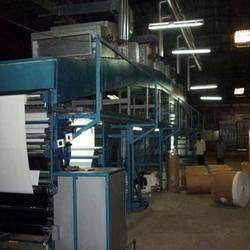 Spread across a huge area,the unit is divided into varied sections and able to store bulk amount of products with ease. Our warehousing unit also comprises requisite material handling tools and arrangement for protecting the products from moisture, dust, rodents and fire. We use superior grade packaging material to pack our products and deliver it to the clients within the stipulated time-frame.